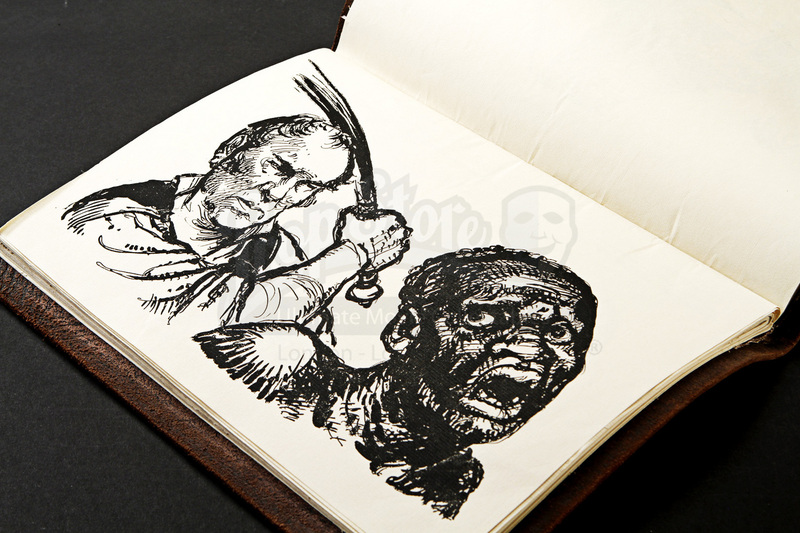 Tom Bertram's (James Purefoy) Hero Leather-Bound Sketchbook depicting the graphic treatment of the Bertram’s slaves from the 1999 adaptation of Jane Austen’s classic novel, Mansfield Park. Born into poverty, Fanny Price (Hannah Taylor Gordon/Frances O’Connor) is sent to live with her wealthy relatives, the Bertrams, at Mansfield Park. 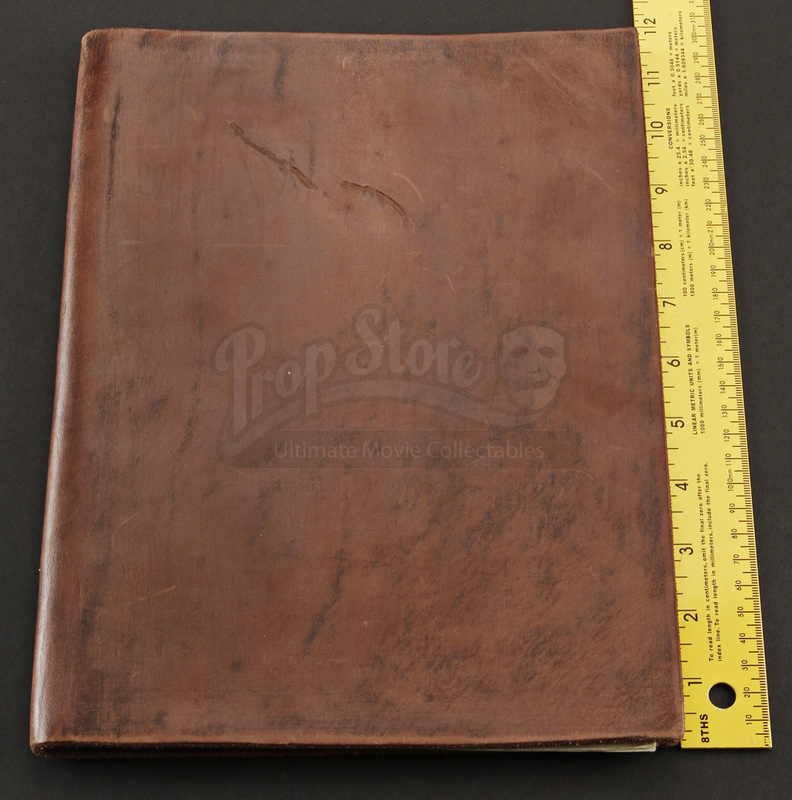 This item comes from the scene is which Fanny is nursing Tom Bertram (James Purefoy) back to health and uncovers Tom's journal which depicts the horrific treatment of slaves on the plantation. 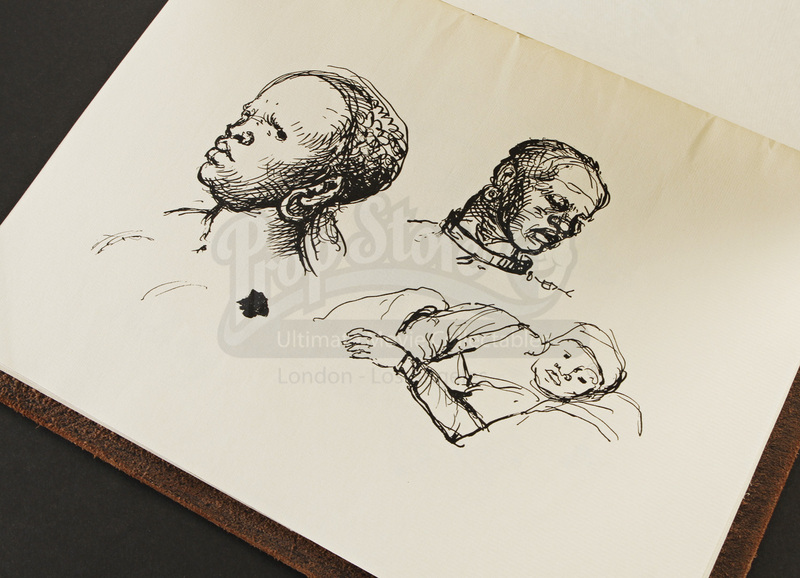 The book consists of several pages of parchment paper with the sketches printed on them in black ink. 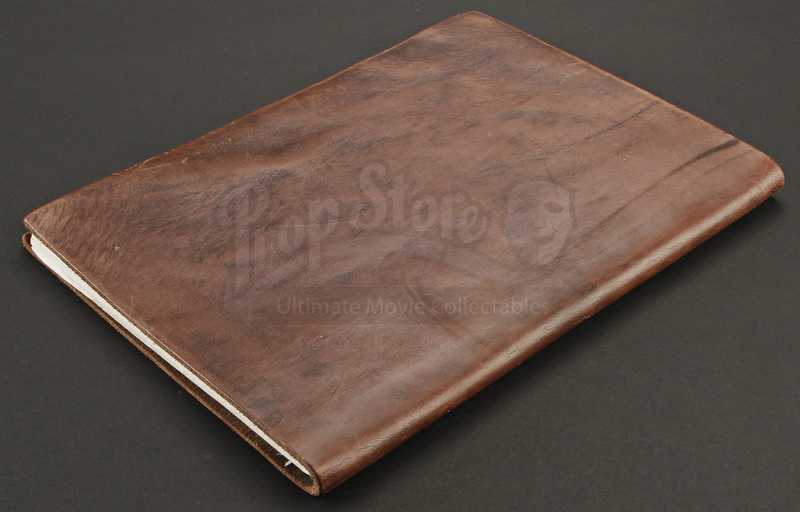 The parchment is bound within a thick, brown leather cover. 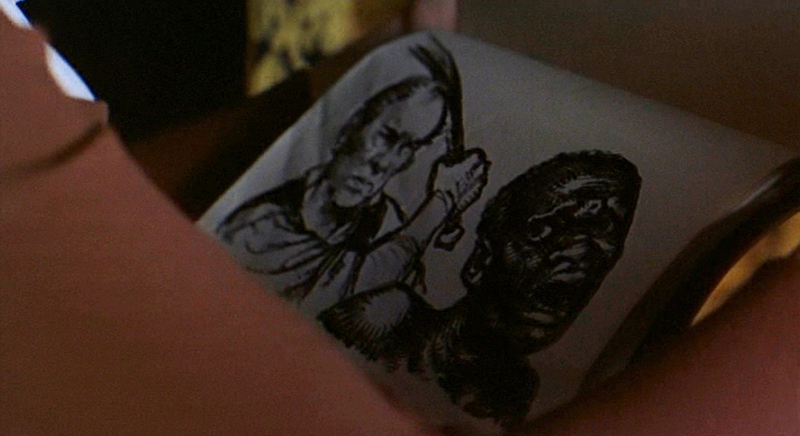 All of the sketches seen by Fanny in the film can be found in the sketchbook in the same order in which they appear in the film. There are also numerous pages at the back of the sketchbook that are blank. This hero prop can be screen matched by markings and imperfections on the leather cover as well as ink blots and streaks in the sketches. The booklet measures 12” x 9" (30.5cm x 23cm) and despite some very minor perforations where the paper is bound to the leather, this hero piece is in excellent, production-used condition.